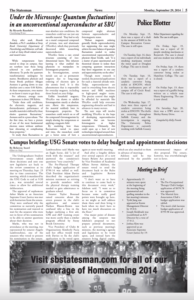 The Undergraduate Student Government senate tabled three decisions and sent one new legislative act back to the review committee at its meeting on Thursday, Sept. 25 due to time constraints. The meeting, which is mandated by the USG Code to end at 9:30 p.m., was extended several times to allow for additional deliberation. 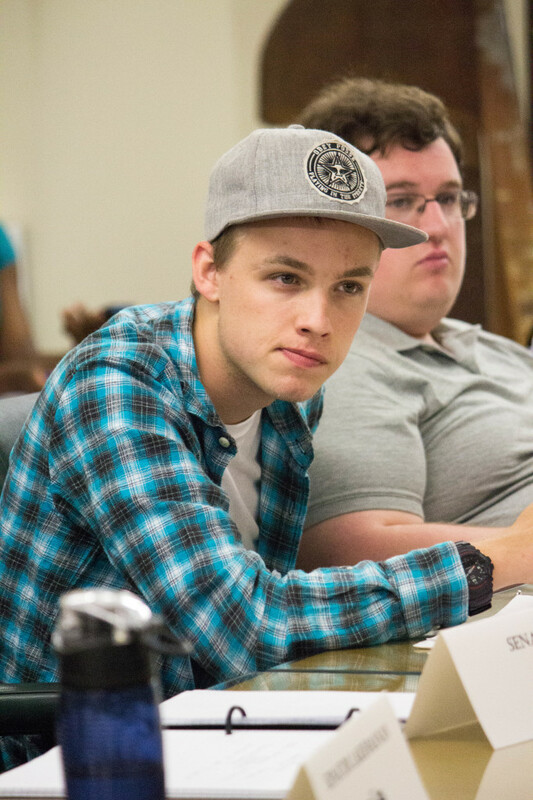 The approval of sophomore Asher Marks as an Associate Supreme Court Justice was met with hesitation from the senate. They were confused why the committee so narrowly passed his nomination and wanted to wait for the senators who were not in favor of his nomination to be able to answer questions about their decision. The Pre-Physical Therapy club’s budget application of $790.14 was tabled as well. Club President Adam Davies described the organization’s mission statement as striving to provide members with the physical therapy training needed to gain admittance to graduate school. Senator Taylor Bouraad raised concerns about the errors present in the club’s application and senator Nathan Blazon-Brown was confused why a line in the budget outlining a first aid, CPR and AEP training event was more costly than a similar program offered by Stony Brook University. Vice President of Clubs & Organizations Kimberly Pacia said her office would work with Davies to fix the club’s application to be voted upon again at next week’s meeting. And after a lengthy debate over several aspects of a new Senate Bylaws Act presented by Vice President of Academic Affairs Steven Adelson, the senate voted to send the document back to the Rules and Legislative Review committee. The Statesman published this piece in print on Sept. 29, 2014. One major point of dissent among the senators was Adelson’s proposal to not prepare printed documents, such as previous meeting’s minutes, the meeting’s agenda and legislation to be voted upon, and instead have the senators bring digital copies, which are also emailed to them in advance of meetings. Adelson said he was motivated by the possible environmental impact of this proposal. The senate, however, was overwhelmingly not in favor. Approximately 15 minutes were spent at the beginning of the meeting fixing grammatical and spelling mistakes in the last meeting’s minutes. Tyrik Jiang was approved as Events Management Director by 19-0-0. Joseph Kickbush was reconfirmed as A/V Director by a vote of 17-0-2. Joshua Kim was approved as an Associate Supreme Court Justice by 19-0-0. The Pre-Occupational Therapy Club’s budget application of $678.78 was approved. 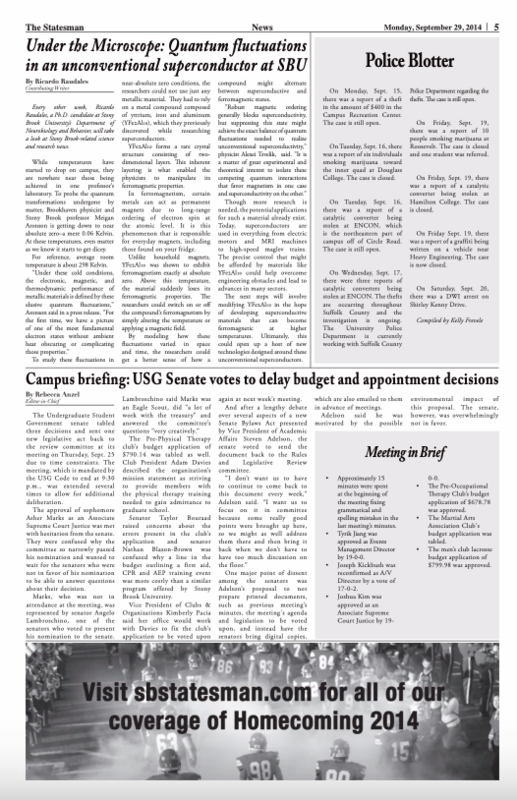 The Martial Arts Association Club’s budget application was tabled. The men’s club lacrosse budget application of $799.98 was approved.